My first hike from Deerwalk with the team and that is something I will cherish for a long time. 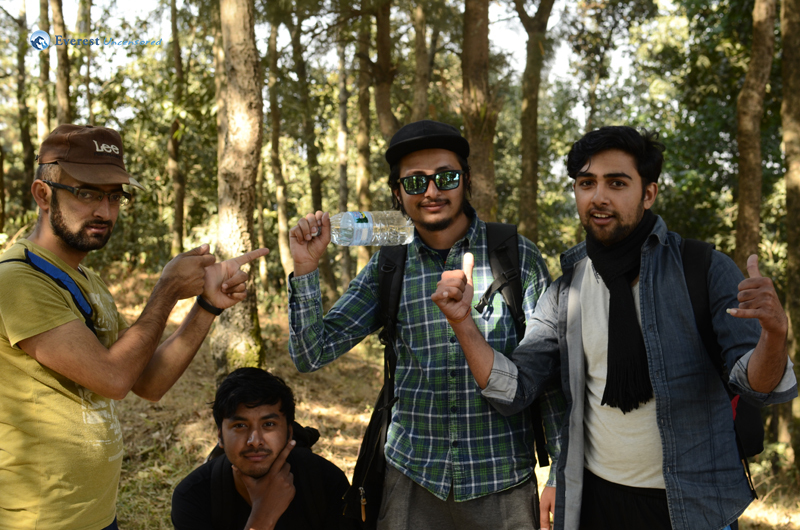 The memories created were beyond my expectation. 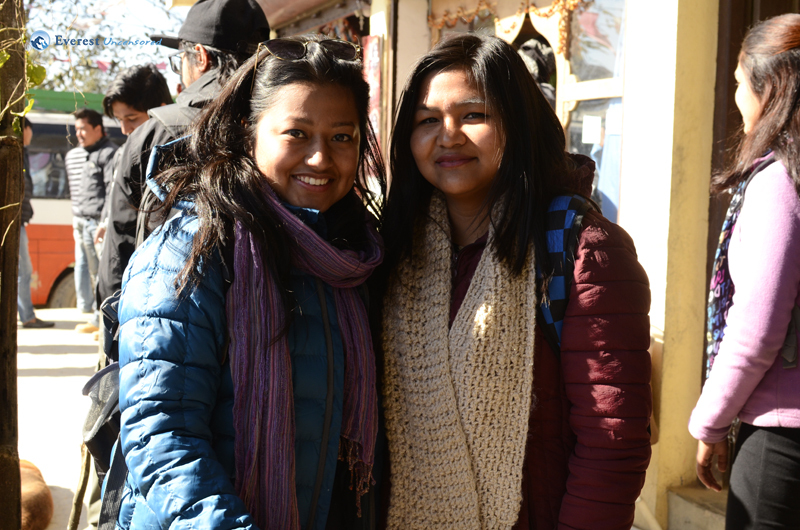 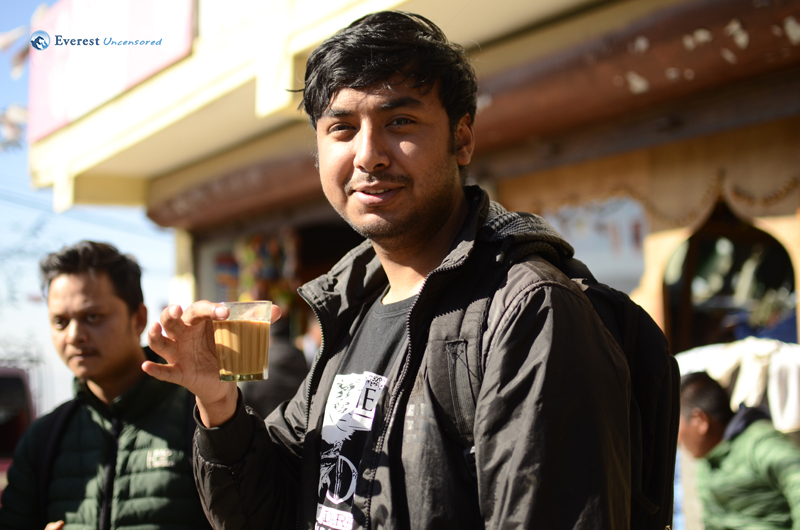 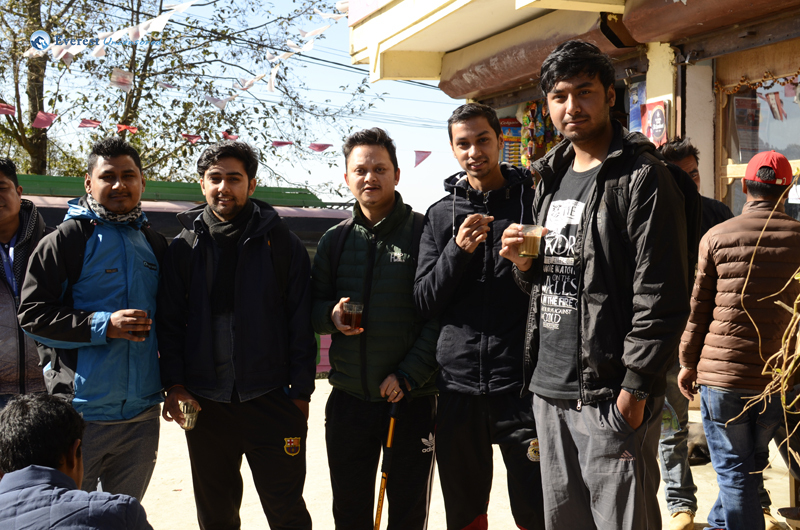 We started our journey from Deerwalk complex at about 8 am and reached our first stop around Nagarkot hills for a quick breakfast to pump us up. 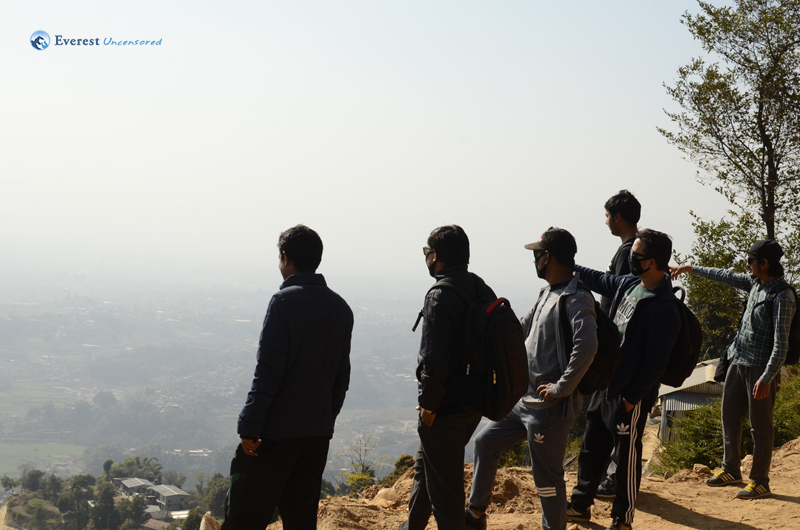 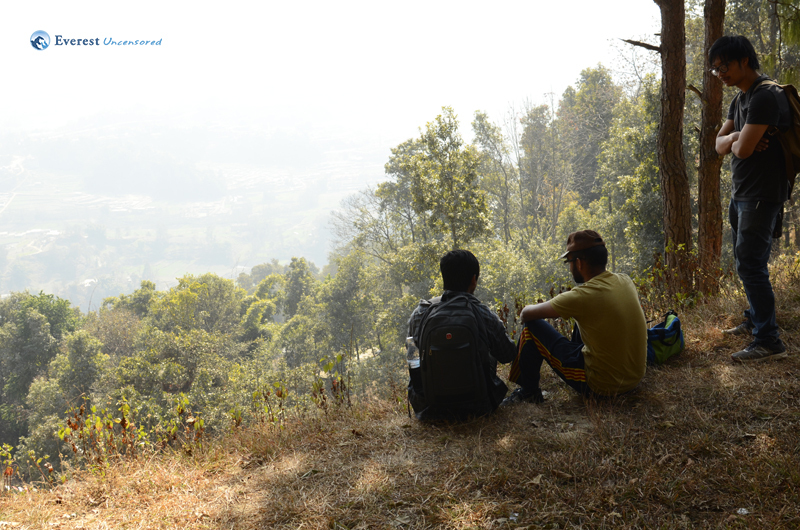 After a quick breakfast, we headed to Nagarkot tower for a wonderful view. 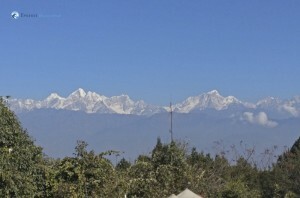 And that was the moment I believed in the phrase ‘Heaven is myth Nepal is real’. 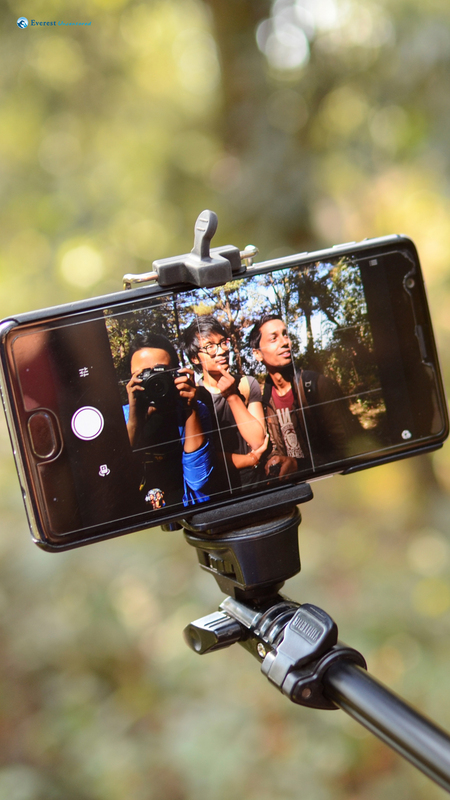 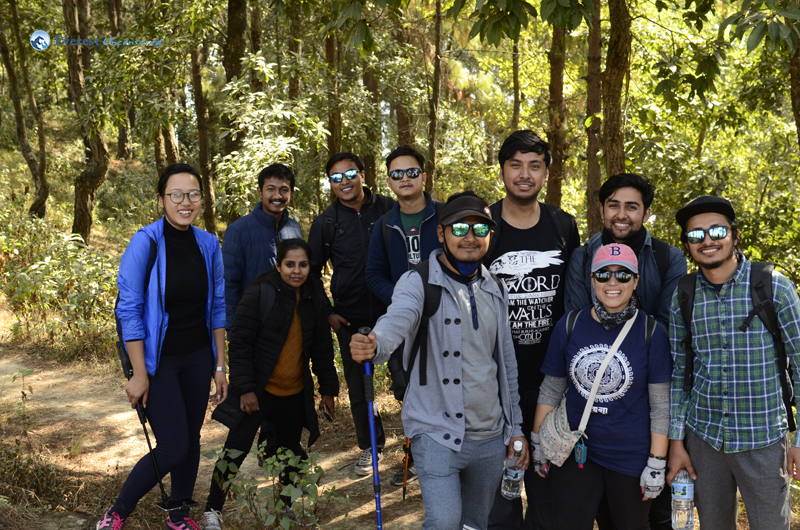 Our hike officially started at around 11:00 am from ‘Telkot’ with backpacks loaded with required utensils and power bars to keep us through the journey. 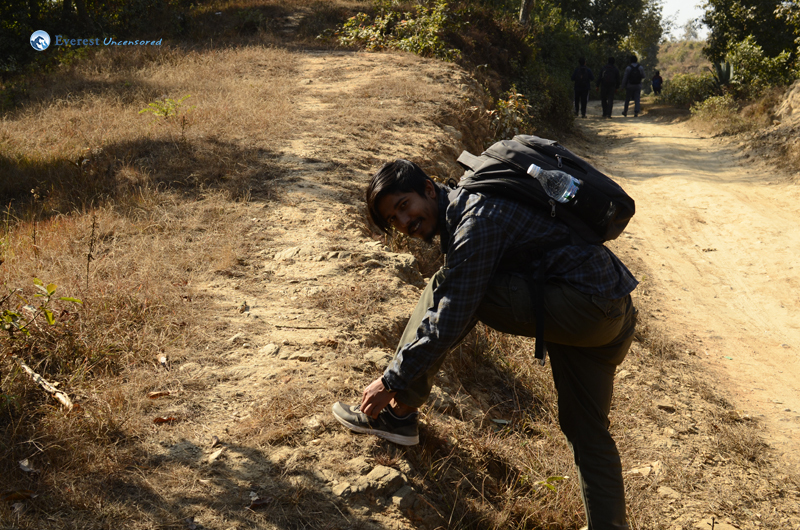 The route was majestic between the hills and deep into the nature where I felt more alive. 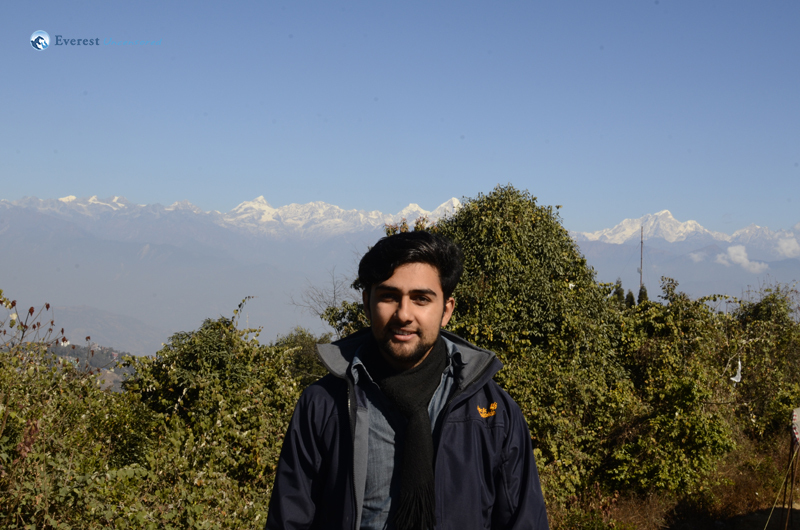 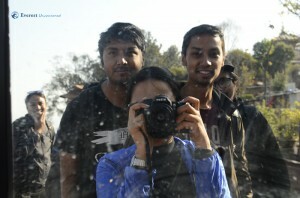 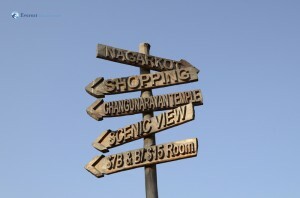 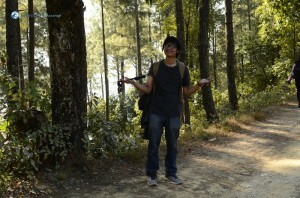 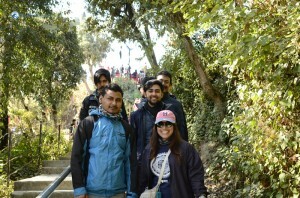 After a wonderful 3 hours walk through the nature we reached our destination ‘Changu Narayan’. The spiritual vibe around the temple was soul refreshing where it makes you wonder about many things. 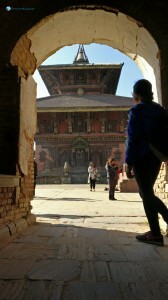 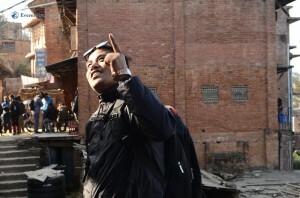 The historical and cultural aura I got around the temple was something close to heaven. 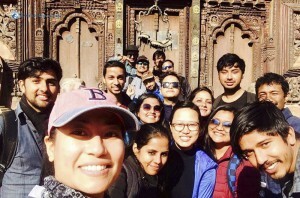 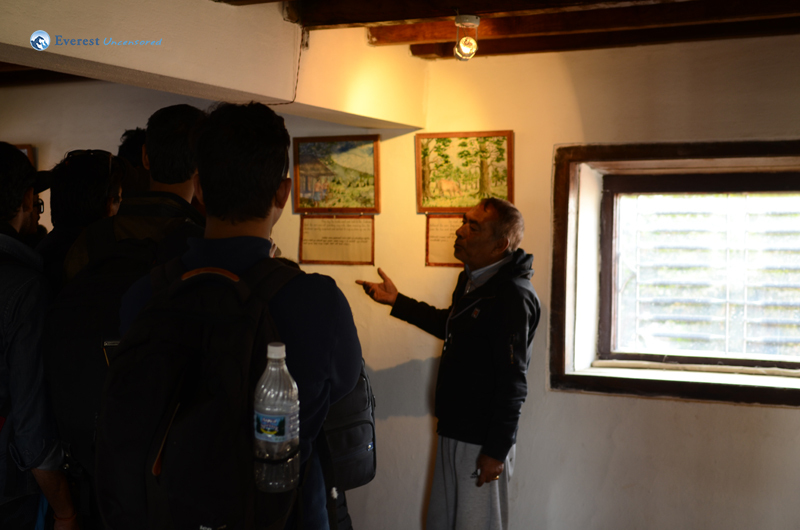 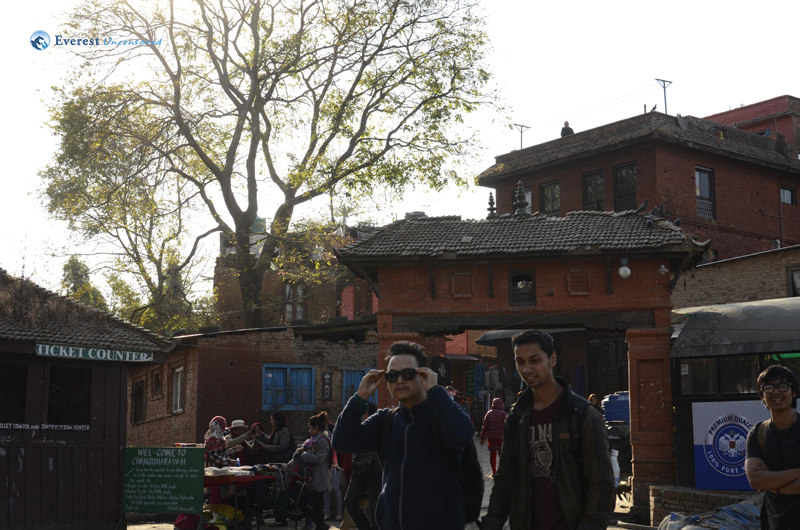 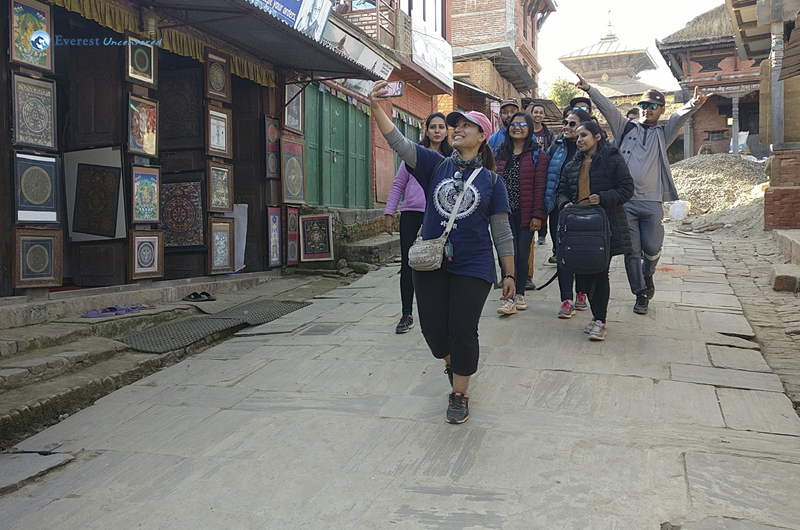 After a quick tour around the temple and its periphery we went to Changu museum where we learned about the origin of the temple and different historical values of our country. 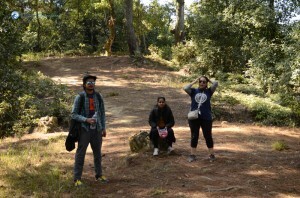 Our hike was coming to an end. 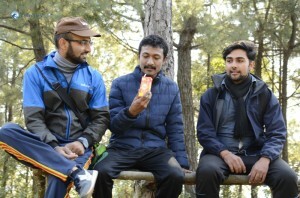 Hungry and tired from all the walk we now had to search for a great place to fill our tummies. Before that we had a quick appetizer ‘Pani Puri’ and ‘Chatpatey’. 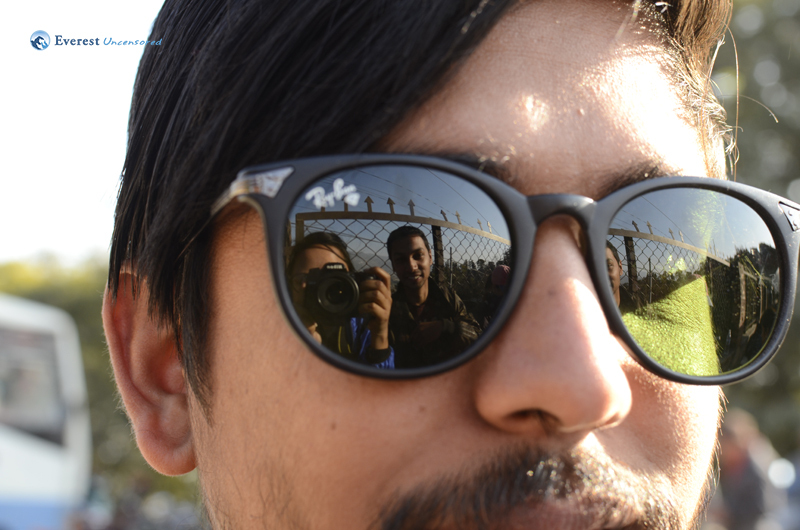 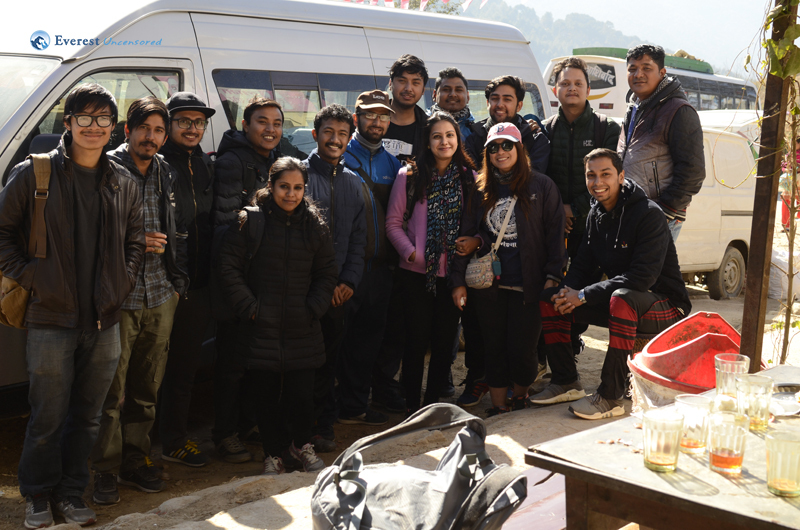 After our hike at around 4pm we all got into the van for another awaited moment to fill up our hungry tummies and headed to thakali restaurant in new baneshwor but life can be cruel sometimes. We were a little too early and they said nothing was ready for us to serve. 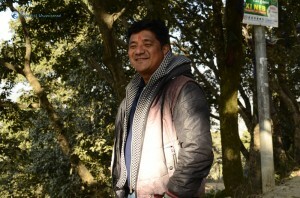 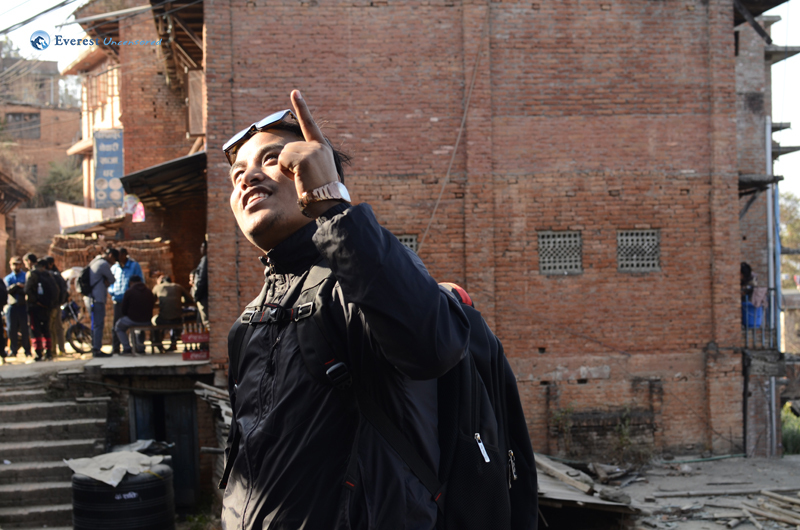 We had to find a new place and driver dai knew one in Chabahil. This time we confirmed on phone first just to make sure. 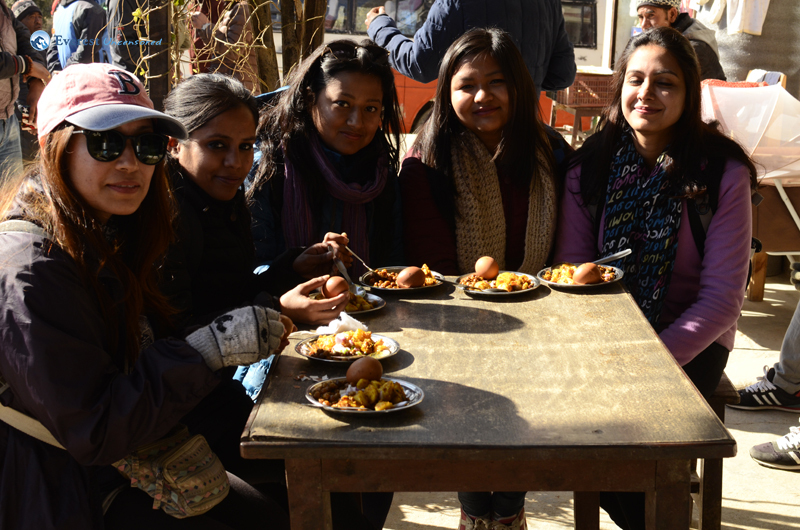 We rushed towards chahabil where our lunch was ready to be served. 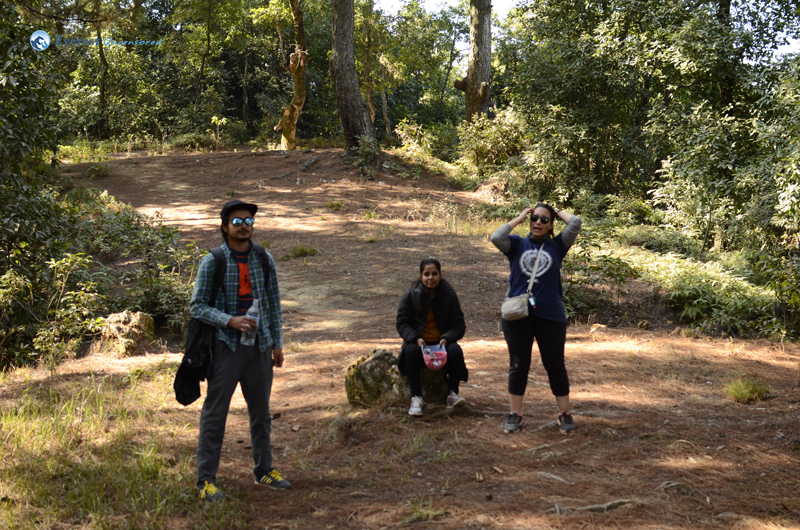 There was an utter silent environment amd the only sound we could hear at the moment was that of plates and spoon. 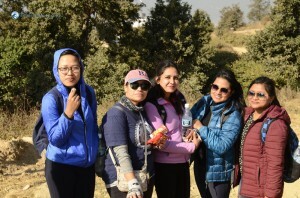 With our tummy full and hearts fulfilled, the hike officially ended. Ah, My first hike with the team. 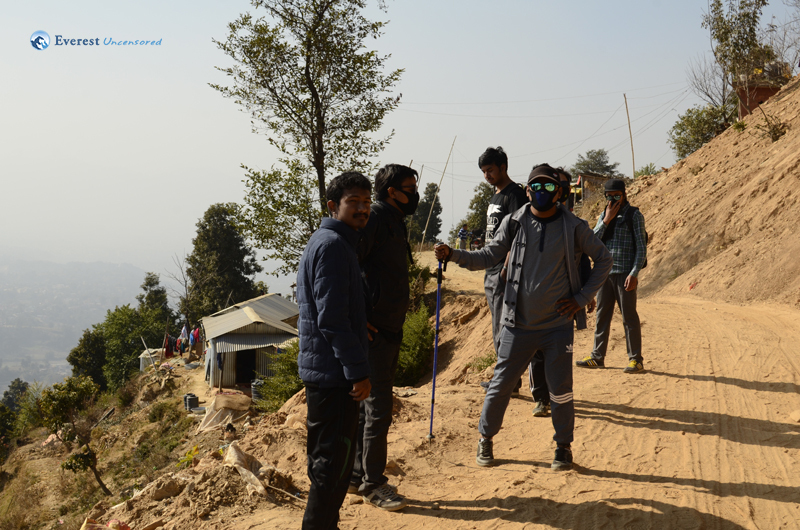 Been waiting for this day, since the moment the team first discussed about their previous hike and the fun and the adventure that they had. 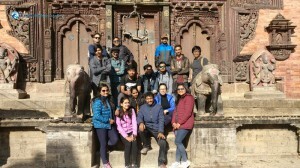 Our hike was schedule for 6th of January,2017. 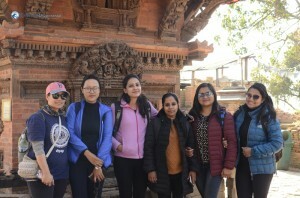 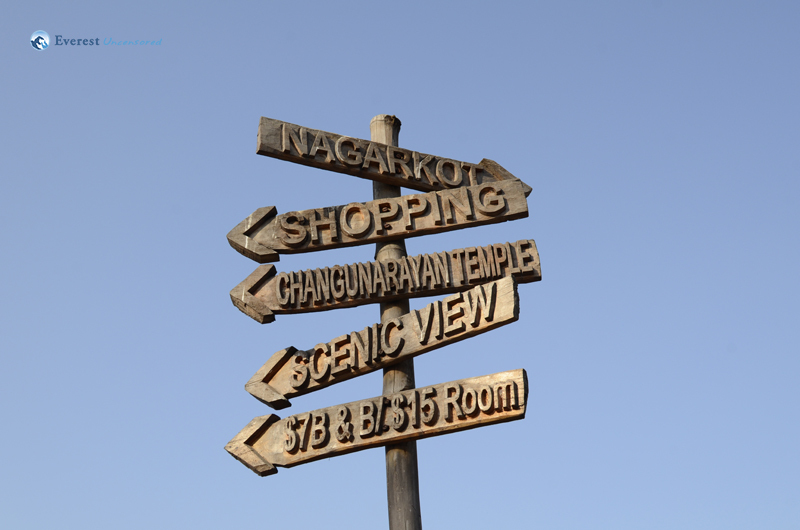 Our hike route was from Nagarkot to Changu Narayan temple. 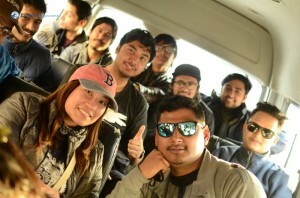 But who really cares about the route when it was bound to be fun and memorable with these awesome people. 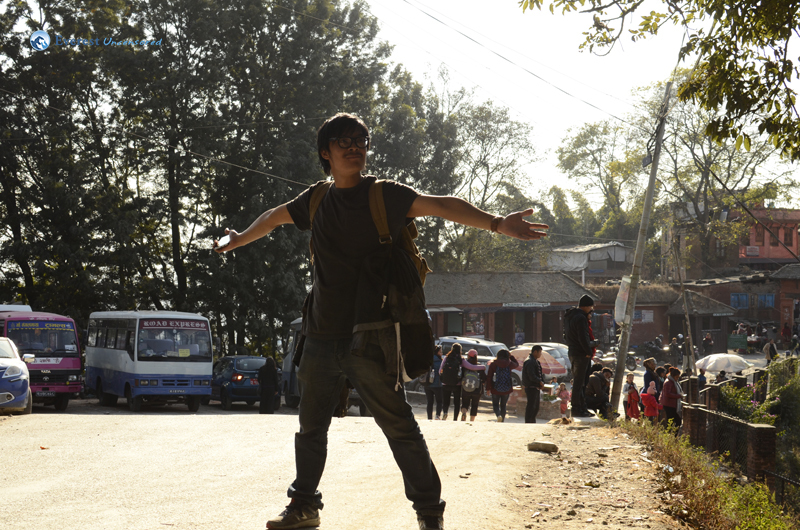 We were supposed to leave the office premises at 7:45 AM. And we did just according to Nepali time.We picked other remaining hikers along the way as we started our journey towards our first stop, Nagarkot. After we devour the most important meal of the day-breakfast,we went to the top of the nagarkot hill and were mesmerized by the beauty of nature.The wide range of snow capped mountain was truly magnificent.Obviously, the photo session was unavoidable on such a spectacular scenario, after which we started our official hike. 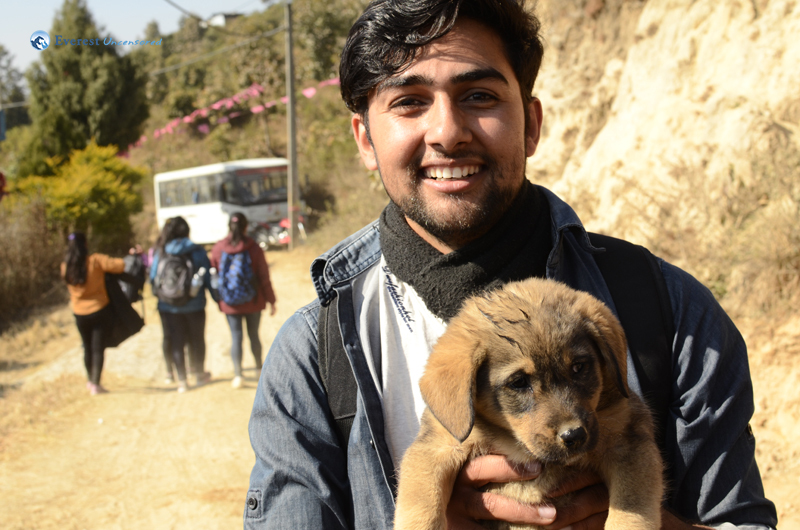 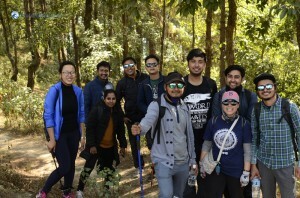 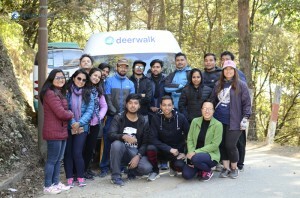 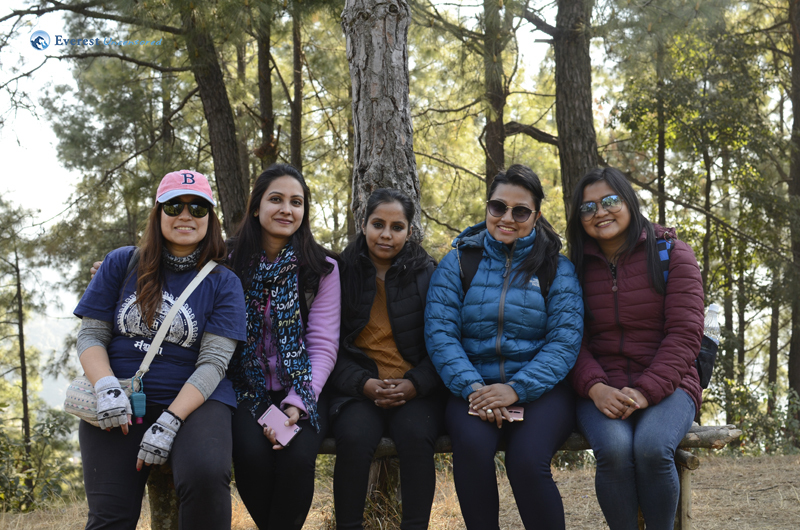 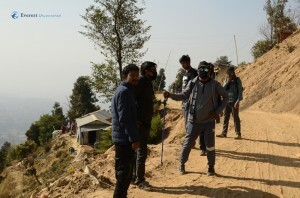 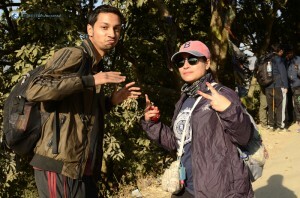 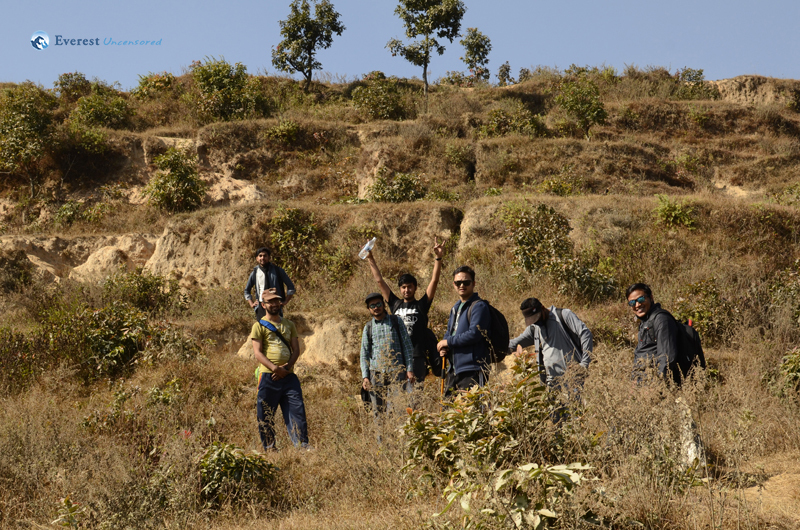 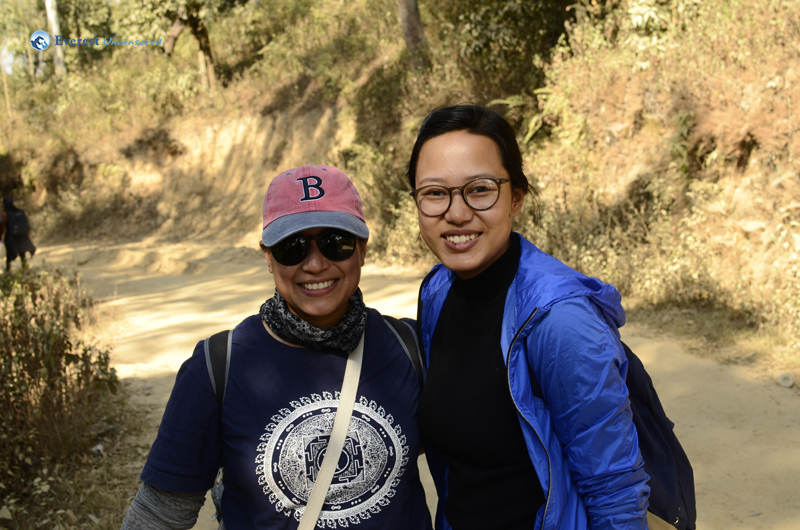 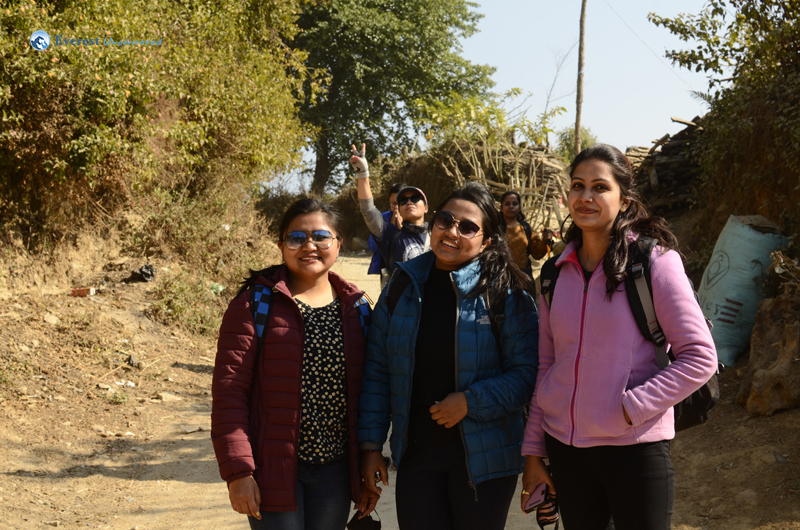 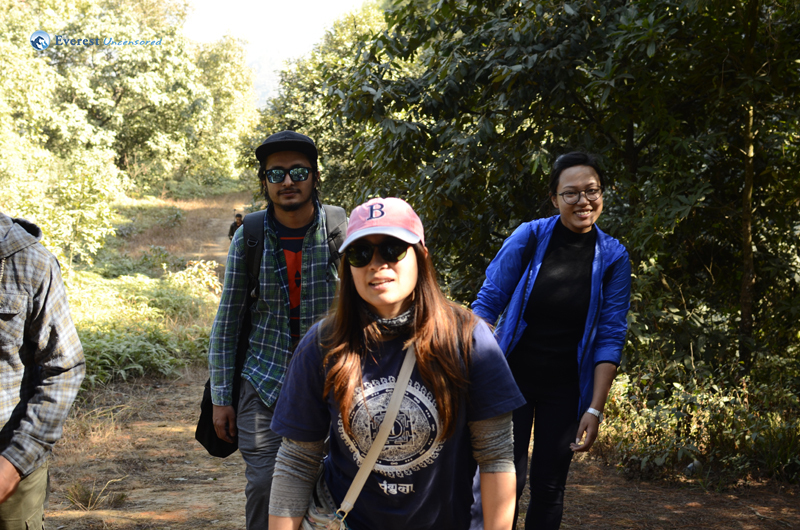 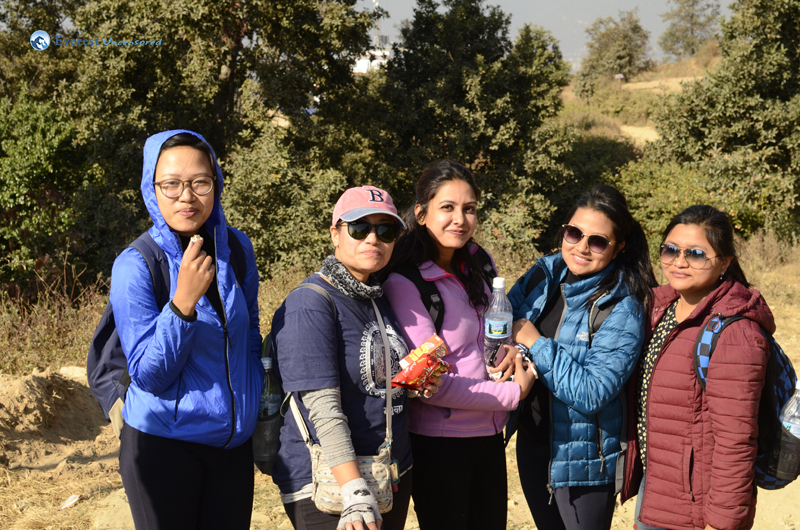 We were loaded with energy bar, light snacks and juice for the hike,as we hike towards Changu Narayan. 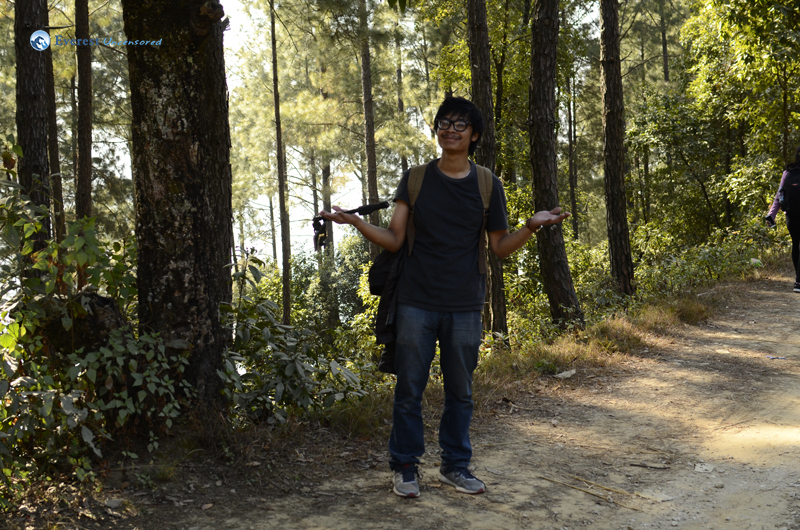 The path took us through light forest and hills,deep into the nature. The path took us through light forest and hills,deep into the nature. 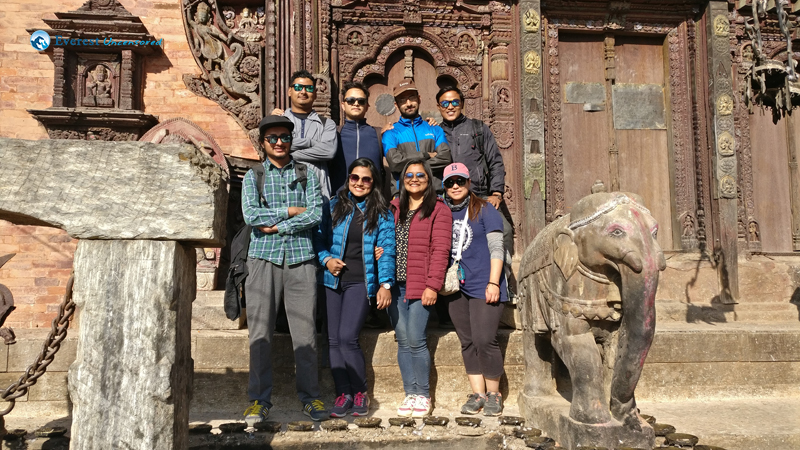 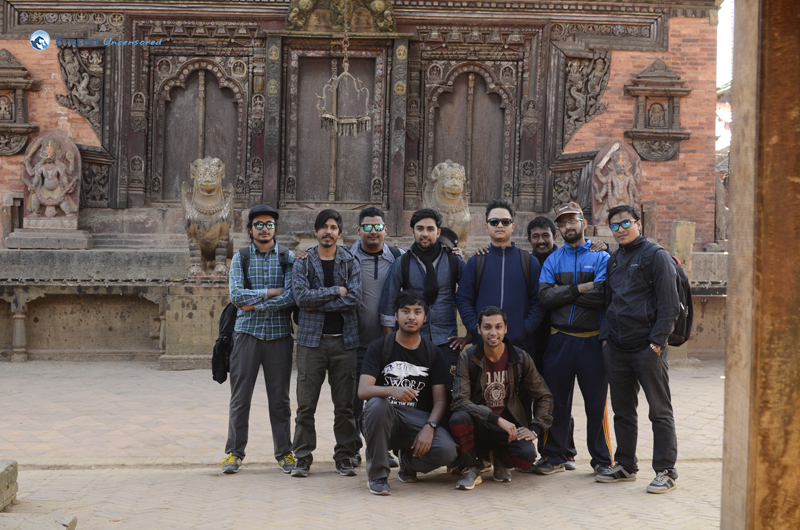 After almost 4 hours of adventurous and fun hike through the astonishing nature,we made it to our destination.The historical cultural aura that the place emitted can be felt in the air. The aesthetic design of the temple and the finesses skill which was required to build it was truly majestic.We also went to the museum where we got to know about the history of the place and the religious importance that the temple holds. 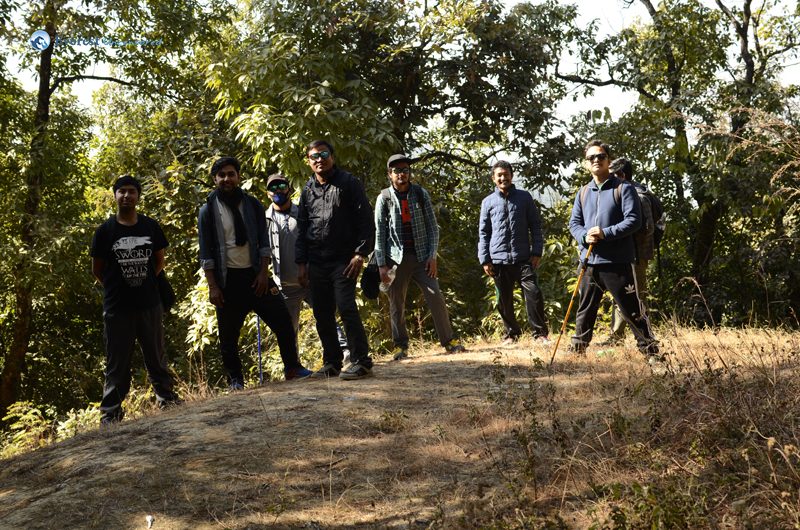 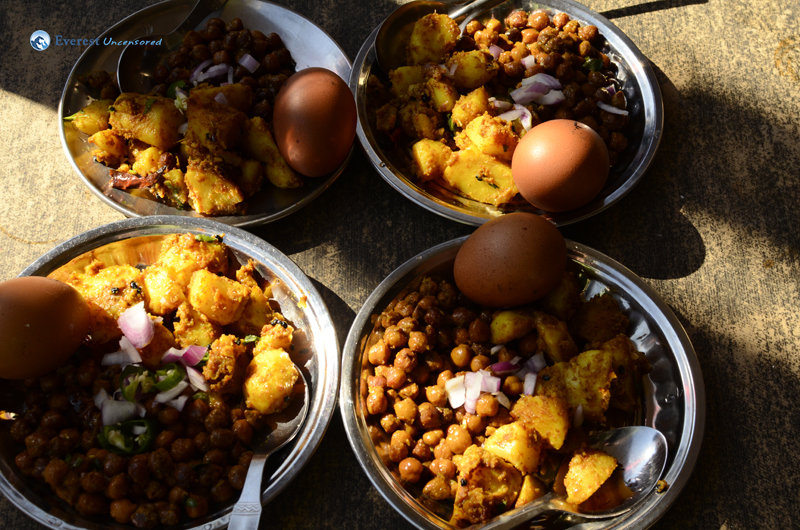 This was “almost” the end of our journey; I mean how can a hike be over without having Thakali khana where everyone was enervated. 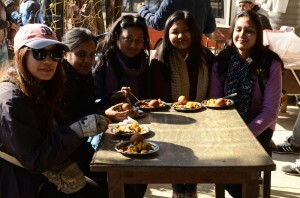 So we went to Chabahil to have delicious Thakali khana to restore our energy and end the day that we won’t forget anytime soon.